Part performance, part competition, part learning experience and a whole lot of musical entertainment, this Saturday, Salem residents and visitors will be treated to the first annual Haunted Harmonies A Cappella Festival. Haunted Harmonies is a NEW one-day a cappella festival in Salem, MA built to educate high school and collegiate students on various elements of contemporary a cappella (group or solo singing without instrumental accompaniment) and enhance Salem’s Haunted Happenings celebration. Through workshops and exposure to professional musicians, students will gain skills to improve their musicality and knowledge of a cappella. 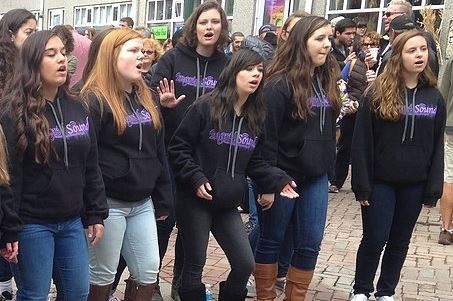 Students will also provide family-friendly entertainment to the community while experiencing high-level performance opportunities in competition and exhibition on the streets of Salem during the Haunted Harmonies festival and throughout the month of October. Inspired by the growing enthusiasm for a cappella performance, Haunted Harmonies was created by Alex Grover, Music Director of Danvers High School & former director of Salem High School’s a cappella group WitchPitch?, and Tina Jordan, Director of the Salem Witch Museum. Ingrid Sound from Danvers High School. The competition will be opened and hosted by Phoenix, a Boston-based, all female a cappella group. Jordan continues, “What I love about the design of the festival is that the groups will learn from experts in the a cappella world, Phoenix A Cappella and Berklee College of Music & Women’s A Cappella Association, and will be able to take those lessons and apply them as they perform on the streets of Salem with a Haunted Happenings twist! The Scholastic Competition will be held on the Fountain Stage on Essex Street from 10am – 12pm and is free to the public. Each of the ten groups will perform and be adjudicated by a panel of professional a cappella performers and professors from Berklee College of Music and the Women’s A Cappella Association. In the afternoon there will be street singing by non-scholastic performance groups from 1-4pm. A cappella fans can see their favorite scholastic performers again during their Street Singing showcase from 4-5:30pm. There will be five performance locations on Essex Street between Liberty Street and Washington Street. The Pro Showcase featuring Vox One and the winners of the scholastic competition will be held in Murray Hall at 211 Bridge at 7pm. Advance ticket purchase is strongly recommended; tickets are $8.00 in advance, $10.00 at the door. For complete information on Haunted Harmonies, visit HauntedHarmonies.com. 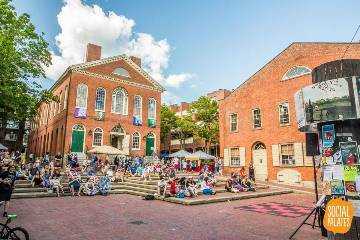 The a cappella festival is part of a month of musical programming on the Fountain Stage organized by Salem Gathering, and will coincide with this weekend’s Haunted Biz Baz Street Fair, which is produced by the Salem Chamber of Commerce. 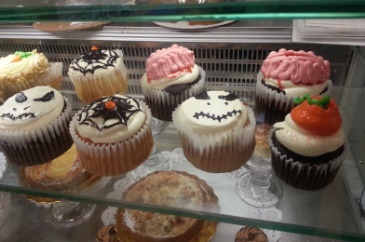 For complete information on the month-long Salem Haunted Happenings festival, visit HauntedHappenings.org. Patriotism is something that will never go out of style, and in Salem MA we do up the most patriotic day, the 4th of July, in real style. We kick off bright & early at 9am with Mayor Kimberly Driscoll on Salem Common introducing the traditional reading of the Declaration of Independence. Dann Maurno will once again read the document. Bob Kendall will provide piano music, a quintet from Salem High School’s Witch Pitch? will sing the “National Anthem,” and audience singing will be led by Maureen Dalton. And by ending the 4th of July with festivities, she means a BIG ending. 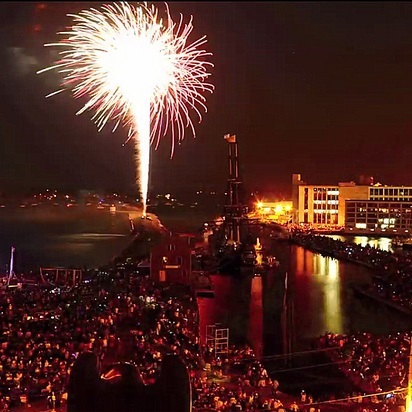 At 9:15pm, Salem will loudly & proudly cap off its Independence Day celebration with a fireworks extravaganza, accompanied live by the Hillyer Festival Orchestra playing a rousing rendition of the “1812 Overture” and other patriotic live music throughout the entire fireworks display! What makes this all such a grand event in Salem is the setting. The Salem Maritime National Historic Site on Derby Wharf is not just a park or anonymous stretch of undeveloped land — it was the first National Historic Site in the entire National Park System! That is historic in itself! 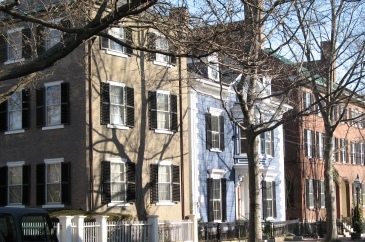 The Site consists of nine acres of waterfront land and houses a dozen historic structures. These include the Custom House, where famed author Nathaniel Hawthorne worked, and Derby Wharf, which was used by America’s first millionaire, Salem merchant Elias Hasket Derby. With historic Salem Harbor, including hundreds of boats moored and the replica of a 1700’s sailing vessel, the Friendship, as a backdrop, Independence Day in Salem is filled with the history that helped make America the free nation it is today. But the history and patriotism doesn’t end there. As an additional tie-in there will be a flyover by the 104th Fighter Wing from Barnes Air National Guard Unit, which is located in Westfield, Massachusetts and proudly claims the honor of being one of the oldest flying units within the Commonwealth. Besides all that history, there will also be entertainment on the 4th of July program. Live entertainment on the Main Stage begins at 5pm with The DITTO band. Lead vocalists and guitarists Gary Santarella and Roger Kimball have entertained audiences for over 40 years playing mainstream music classics by James Taylor, Neil Young, Harry Chapin, Simon and Garfunkel, Crosby Stills and Nash, The Beatles, and many others. Opening Ceremonies begin at 7:15pm when Mayor Driscoll and other local dignitaries will lead a parade down the wharf accompanied by the Salem Veterans Honor Guard and Salem Boy Scout troops. The National Anthem will be sung by Nadine Adisho, Leah Morgenstern, Danielle Gautier and Tyler Leger of Salem High School’s a capella group Witch Pitch? Immediately following opening ceremonies Maestro Dirk Hillyer and his orchestra will deliver another great 4th of July program as they have in years past. For this year’s intermission entertainment there will be two additional treats. A delegation of talented 8th grade singers from Salem’s Collins Middle School will be performing and members of the Marble head Little Theater will entertain the audience with songs from Broadway. If you are bringing the kids, take note that earlier in the afternoon free children’s activities begin at 4pm with the opening of the Kids’ Space, where young ones can play games, win prizes and get their faces painted, all thanks to the generosity of the MeetingHouse Church in Salem and Walmart. Also, look for the MAGIC 106.7 street team along with the MGH Pediatrics tent on-site with lots of cool give-a-ways. And of course, on site Food Tents will also open at 4pm with hot dogs, French fries, fried dough, kettle corn, and other favorites. Join your friends & neighbors and fellow Americans as we share an Independence Day of patriotic pride in a setting that is historic in itself, The Salem Maritime National Historic Site on Derby Wharf. Ten years of down beats, up beats, rhythm and horns will be celebrated this year as the Salem Jazz & Soul Festival kicks off its Berklee Summer Series May 14th in Salem’s Derby Square. The spacious, open air ambiance of Derby Square lends itself so well to the diverse live funk, soul, blues and jazz music performances scheduled this year. MIXCLA, a trio consisting of students from the Berklee College of Music, will play at the first SJSF/Berklee Summer Series concert. MIXCLA is a play on words between mezcla (which means mixture) and mix. 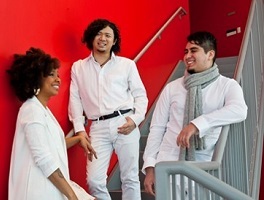 MIXCLA is led by composer/pianist and singer Zahili Gonzalez Zamora, with Gerson Esteban Lazo Quiroga on bass and backing vocals, and Takafumi Nikaido on percussion. You would expect that this mixture of cultural spices to cook up the perfect recipe for one of a kind musical experience. Zahili Gonzalez Zamora, explains, “We are truly excited to be a part of the Salem Jazz & Soul Festival Berklee Summer Series; it is another opportunity to share our love and passion for music. We are three individuals from three different parts of the world, yet, we found each other at Berklee and came together as a musical family with one common thing in mind, we love Cuban music. I am bias of course. But Gerson? All the way from Chile, he pretty much self taught himself music and ended up avidly listening and falling in love with Cuban music. He began transcribing his favorite bass players, especially Alain Perez, a bass virtuoso from Cuba. Then Taka? He has already been to Cuba twice, studied with the Masters of Percussion and actually won a prize in Cuba’s most important Festival Del Tambor. When I found them, I said to myself, these are my brothers. I cannot let them go. I feel at home when we are playing, and their faces tell me they feel the same, and it gets better and better. So now, I’m just really happy that we get to share what we have with the crowd of the Salem Jazz & Soul Festival. Three more SJSF/Berklee Summer Series concerts will take place this year: Maddie Jay & the pH Collective on June 11; Selah Poitier on July 9; and RickExpress on Aug. 13. The 10th-annual Salem Jazz and Soul Festival will follow at The Willows during the weekend of Aug. 20-21, featuring 10 bands, a kids’ tent, music-education tent, artisan fair and 21-plus beer pavilion. The two-day concert is free. The festival is a nonprofit, volunteer-run organization that produces free concerts and raises money for music education causes on the North Shore. For up-to-date information, check out the Salem Jazz & Soul Festival Facebook page. Do you grow or produce a local food item and are looking to cultivate mass community exposure? The field is open for you to participate as a vendor at the 2016 Salem Farmers’ Market! 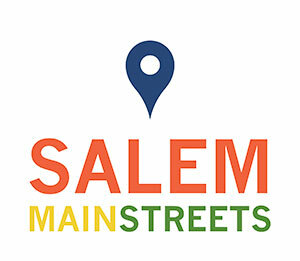 Applications are being accepted now through March 11 by Salem Main Streets. This next session will operate in downtown Salem in Derby Square, Thursdays from 3-7 pm, June 9 – October 13, 2016. 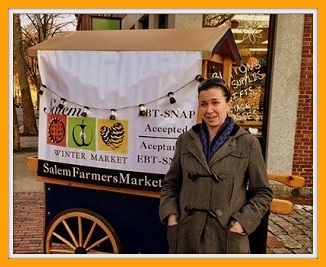 Applications can be downloaded from www.salemfarmersmarket.org. Booth space is $30 a week for a 10’ x 10’ spot, $60 for a 10’ x 20’ spot, and $90 for a 10’ by 30’ spot. There is a discount for prepayment of the entire season. All products must be grown or produced in New England. If a farmer is selling any items he/she did not grow, the farm of origin must be listed. Vendors may label items organic only if they are certified. Non-farm products must be high quality, locally made, take skill and creativity, and the vendor must add at least 75% of the total value to the product. The product(s) should be complementary to a farmers’ market. Now in its eighth year, the market welcomes an average of 2,000+ customers weekly. The market is made possible through the leadership of Salem Main Streets and the Farmers’ Market Committee, as well as the generous contributions of numerous volunteers. For more information please contact Salem Main Streets Executive Director Kylie Sullivan via email at kylie@salemmainstreets.org or phone at 978-744-0004 x15. To get the latest updates about the market, visit our website at www.salemfarmersmarket.org, or follow us on Facebook (www.facebook.com/SalemMAFarmersMarket) or on Twitter (@salemfarmersmarket). Explore Native cultures through sight and sound at the next PEM/PM this Thursday, February 18, from 6 to 9 pm. You are especially invited to celebrate the Peabody Essex Museum exhibition Native Fashion Now through many vehicles of creative expression, from fashion to music, art making and more. 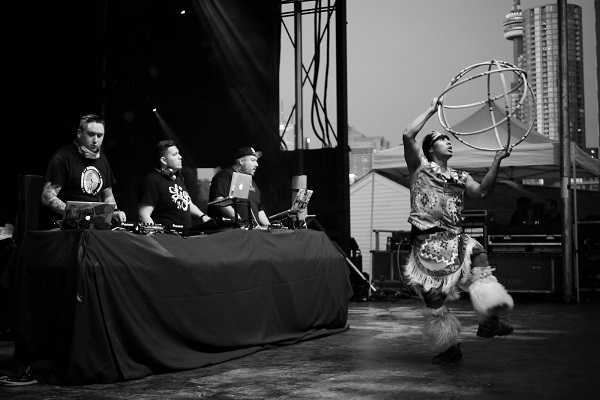 To that end, the global musical sensation A Tribe Called Red will headline the monthly PEM/PM after-hours party with its electronic powwow and Native-inspired mash-ups. Explore cutting-edge Native street style with PEM staff strolling the runway in the latest Native designs. And try your hand at Native art making by creating your own perler bead coaster or screen print with Native artist Jared Yazzie. From vibrant street clothing to exquisite haute couture, this exhibition celebrates the visual range, creative expression and political nuance of Native American fashion. Nearly 100 works spanning the last 60 years explore the vitality of Native fashion designers and artists from pioneering Native style-makers to today’s maverick designers making their mark in today’s world of fashion. Also examined is how non-Native designers adopt and translate traditional Native American design motifs in their own work, including Isaac Mizrahi’s now iconic Totem Pole dress. Featuring contemporary garments, accessories and footwear spanning a variety of genres and materials, these designers traverse cross-cultural boundaries between creative expressions and cultural borrowing. From one of Patricia Michaels’ (Taos Pueblo) recent ensembles from the reality television series Project Runway to Jamie Okuma’s (Luiseño/Shoshone-Bannock) dramatically beaded Christian Louboutin boots and innovative works made from mylar, vinyl and stainless steel, Native Fashion Now underscores Native concepts of dress and beauty, which are inextricably bound to identity and tradition in a rapidly changing world. The Canadian band was named 2014 breakthrough artist of the year at the Canadian Juno awards. It has performed in clubs from Paris to Berlin and has become a cultural touchstone for Native communities with its drumbeats, chants and full-throated singing. Create your own coaster with perler beads and chevron patterns, inspired by The Soft Museum. Curious to know how Native fashion has evolved over the years? Staff from the Phillips Library share photographs and patterns from the PEM collection. Get an in-depth look at some of the favorites in the show from Assistant Curator Shoshanna Resnikoff. Check out and admire the latest designs in streetwear by Native artist Jared Yazzie. Join Native Fashion Now artist Jared Yazzie to make your own print of his custom artwork. Admission is free for PEM members & Salem residents, and $10 for nonmembers. There will be a cash bar, as well as a small plates menu from the Hawthorne Hotel. For more information call 978-745-9500.